Planning a wedding without the right tools is very stressful. In this post, you will discover how using wedding planning templates and worksheets can make your life easier as a bride-to-be. Wedding planning is stressful and sometimes confusing for brides-to-be and those helping friends or relatives organize a wedding. But professional wedding planners use a set of not-so-secret tools when organizing a wedding, even the celebrity and society weddings, without breaking down and still deliver a fabulous dream wedding. In this post, I’ll tell you how those tools make planning a wedding easier, faster and stress-free, and I’ll also let you download our free wedding planning templates (in PDF) for free. Read on. It’s easy to forget something when you have tons of wedding details to remember and tons of vendors to deal with. You’re not a machine and so need a way to get organized without getting burned out. Your best bet is to have a wedding checklist to guide you through the pre-wedding planning process. That’s what event and wedding planners use to stay sane and on top of every little wedding detail. What Are Wedding Planning Templates? Simply put, wedding planning templates are cheat-sheets that the pro wedding planners use to simplify and quicken the process of planning beautiful weddings, without wasting time and getting stressed out. These tools are simply documented from the processes and what always works in successful weddings – so that you don’t have to get stuck reinventing the wheels while planning your own wedding. These days, these tools are now available for the ordinary brides who want to plan their own weddings on their own (DIY). What are Wedding Planning Worksheets? You also need ready-made wedding worksheets, spreadsheets, and cheat-sheets. Professional wedding planners have repeatedly organized dozens of weddings similar to yours (in size and taste) and see that the way to make a budget or guest list, bride/ groom shopping lists are similar everywhere – so why reinvent the wheel in your case when you can use a template or worksheet as a base to plan your own wedding – and save you hundreds of hours during wedding planning. 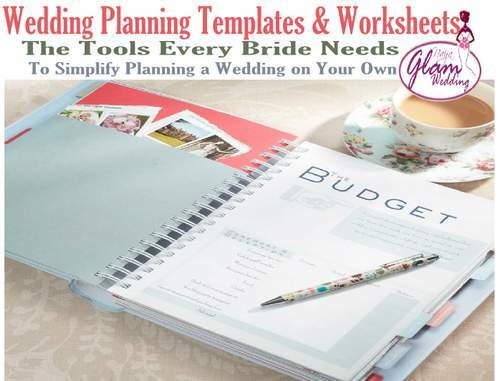 Ready-Made Wedding Planning Templates and Worksheets – Free! Wedding planning checklists – one for preparing for trad wedding and another one for preparing for a Nigerian white wedding. Wedding photography checklist: lists all the magazine-style glam poses in celebrity wedding pictures you see in places like Ovation and BellaNaija – now you too can pose like a celebrities if you give your photographer this checklist. And more wedding planning templates, spreadsheets and worksheets – we keep adding more helpful templates from time to time. Download them now: You can go here to download any wedding template you want or to download all of them. Will the Wedding Templates and Spreadsheets Work For You? 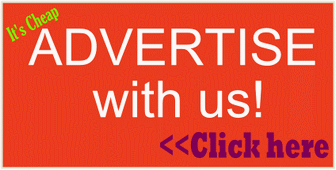 Since we decided to let our readers download the above tools (not long ago), the NaijaGlamWedding wedding planning templates and worksheets have already been downloaded over 10,000 times by brides-to-be and grooms from Nigeria, USA, UK, Ghana, South Africa, Kenya and many other countries. We are still receiving emails from people telling us how the templates have saved them many hours, and also provided them a guide where they were stuck with their wedding plans. Every wedding is a project, and the principles of planning a successful and stress-free wedding is the same, anywhere in the World, and wedding planners’ tools are similar – so, that’s why similar templates, worksheets and checklists are used by wedding planners and brides planning weddings Worldwide – and these templates save you loads of time and stress. Stop wasting time and don’t get stuck reinventing the wheel in the name of planning your wedding – use ready-made, ready-to-use, stress-busting wedding templates to simplify things and make organizing your wedding easier and fun. So, go now to our wedding tools page to download any or all of our wedding planning templates and worksheets from the link above – they are all free to download and print, because we want you to have a perfect wedding celebration. We only ask that you come back here to leave us a comment on how any particular wedding template or worksheet helped you plan a better Nigerian wedding.